When summer is nearly in sight, you start thinking about spending more time outside. You don’t have to hide away from the cold, wrapped up as warm as possible. In fact, it’s a great time to start thinking about how you can improve your outdoor space so you can enjoy it as much as possible. A deck is one of the best things you can have when the sun is out and, even better, you can enjoy both the inside of your house and outdoors at the same time. Creating a blended indoor and outdoor area makes it easier to enjoy both spaces without too much of a barrier. Consider these ideas to make it work. Many people choose some kind of French door or another glass door to open out onto their deck. Even when the door is closed, you can look outside and admire what’s out there. However, you might want to ensure that you have a low threshold for your door, so there’s no lip in the way of you getting outside. It can create more of a barrier to your deck if there’s a clear line between indoors and outdoors. Another thing you can do is use similar flooring indoors and outdoors on your deck or patio. That way, it can look like one space, with part of it outside and part inside. Multi-room sound systems and TV setups have become very popular. They’re great for ensuring you can go into a different room and still hear your music, or for playing two different things in separate rooms. If you’re moving from indoors and outdoors a lot, it makes sense to also have your music or TV play outside too. You can enlist a company providing audio video services to create a custom setup that works for you. Put a screen or speakers outside so you can continue to enjoy your media while you’re out on the deck. Decks make fantastic dining areas, but you can’t usually have a full kitchen outside. When you’re not grilling (or even when you are), you might end up carrying things to and fro from the kitchen to the deck. There are a few things that could help, such as having a food preparation area outside. You could also have a separate place outside to keep anything you need for dining, such as plates and cutlery. A lot of the time, you just want to use your deck to relax. Maybe you like to climb into a hammock or recline on a sofa. If you want to coordinate your outdoor area with indoors, consider using a similar style so your chosen furniture for your deck works well with what you have inside. If you can see both spaces thanks to an open door or large window, it will ensure that the two spaces don’t clash. 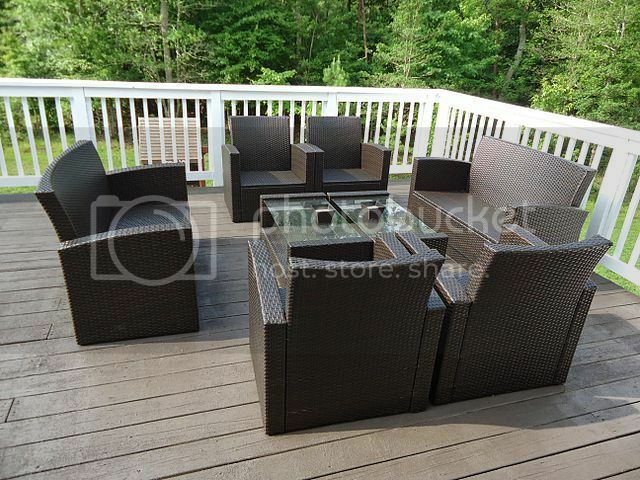 Creating a beautiful deck space for summer will help you make the most of the season. Consider the inside of your home to create a plan for outdoors.